Wow, very early morning I woke up full of energy! 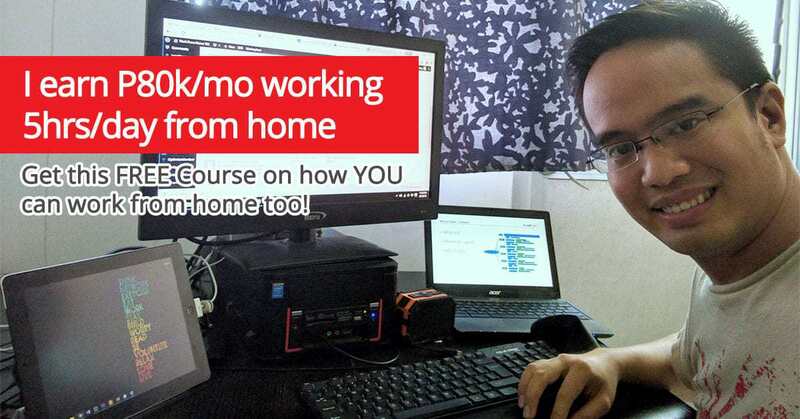 I am almost done with my learning of VA 202 but more practice as what my mentor, Jomar Hilario told us to make more Facebook posters for ads using Power Editor. 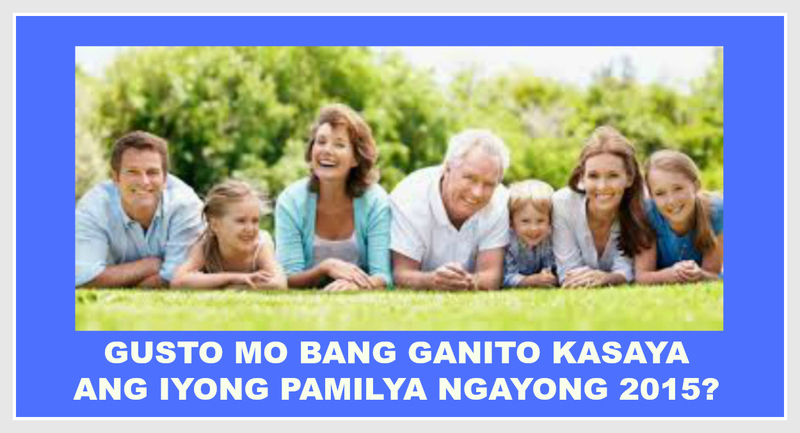 Here I personalize the “happy family” poster before posting this to Facebook Ads. 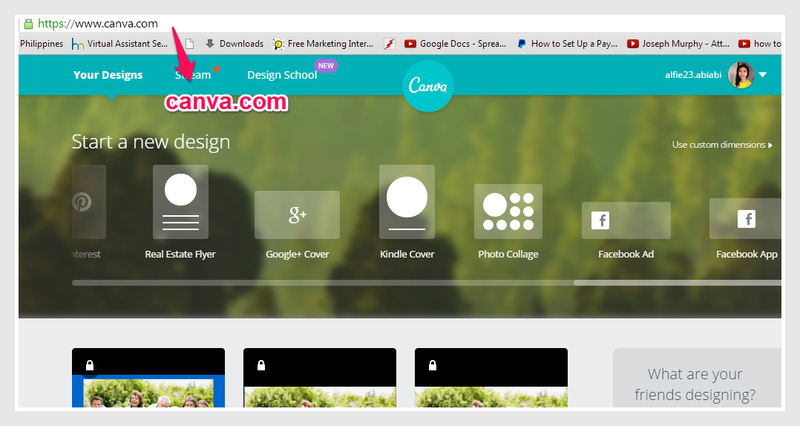 This time I use canva.com site. I still use the same image but I have to change the text. 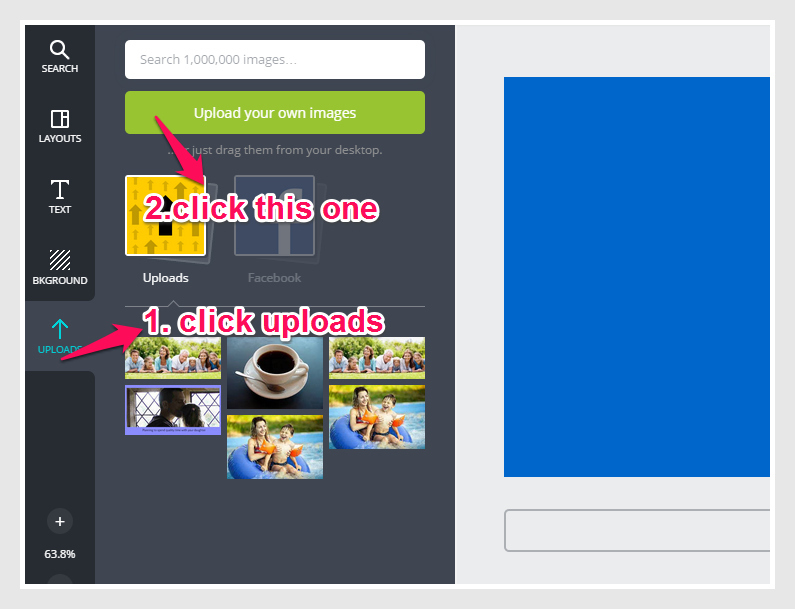 As what Jomar Hilario said, you can personalize your Facebook ads by having the same images but different text or having the same text but different images. But still presenting the promise, of course to support the image. Notice that the images are the same. Only texts are different. 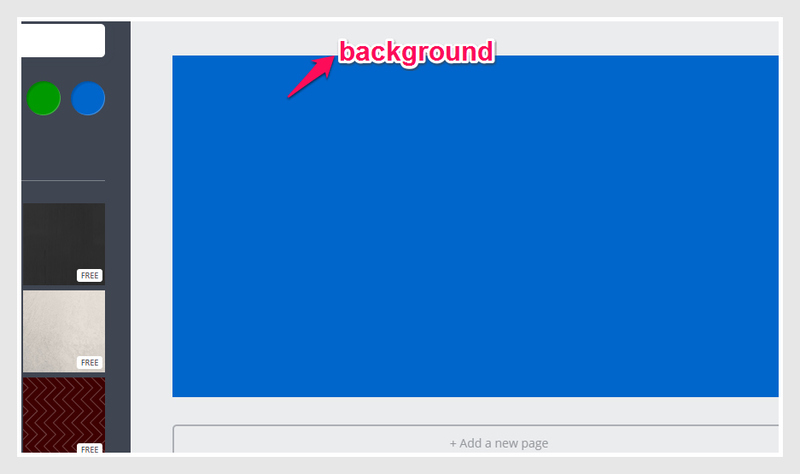 This is one way to personalize your Facebook poster for ads in Facebook. 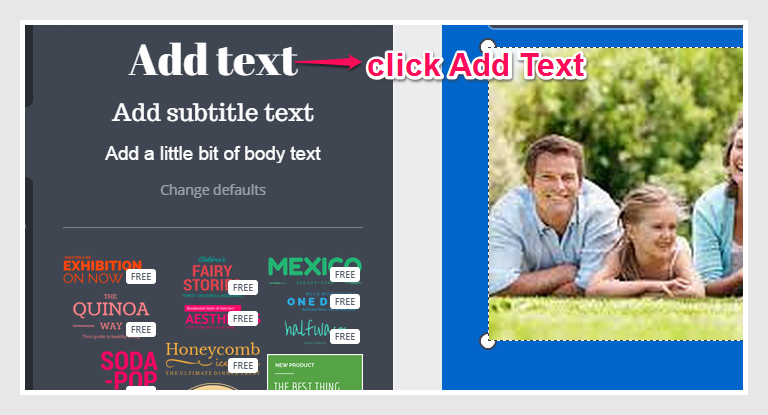 For the next blog, I will share to you the other way to personalize and that is the same texts or heading but different images. And these images still support the promise which is the text. This strategy is shared to us by our mentor, Jomar Hilario. 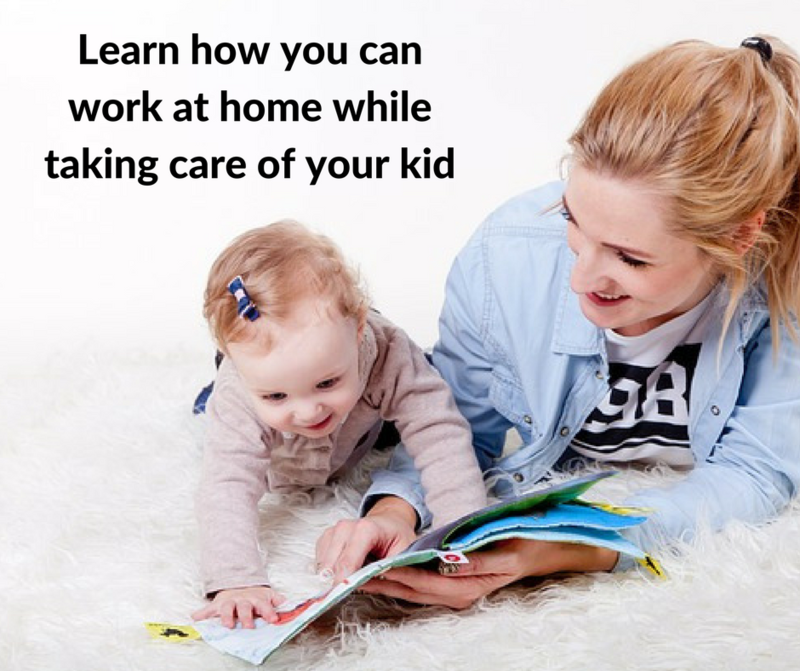 The purpose of personalizing the facebook poster is to compare the two posters and to know which poster garnered the most clicks and signups. If that poster got more clicks and signups, that means you have to extend the period of showing the ads to the public. More signups meaning you have more people to send emails as one way of marketing and the probability of more sales to come. 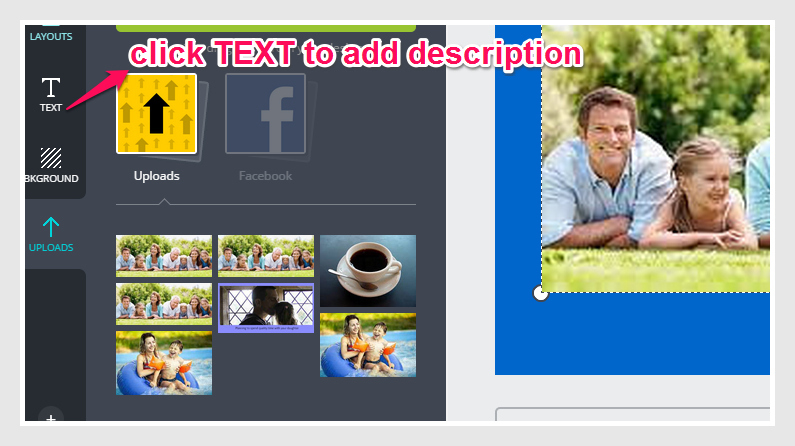 Now I will tell you how to create poster for Facebook ads using canva. And now you are ready for making the poster. 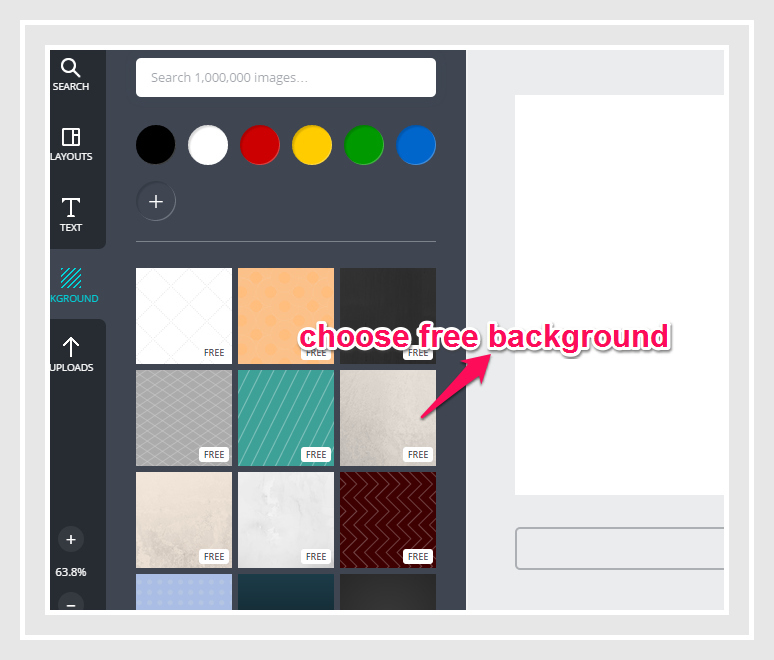 Inside the canva, click “Background” and choose design which is free to serve as background for your image. 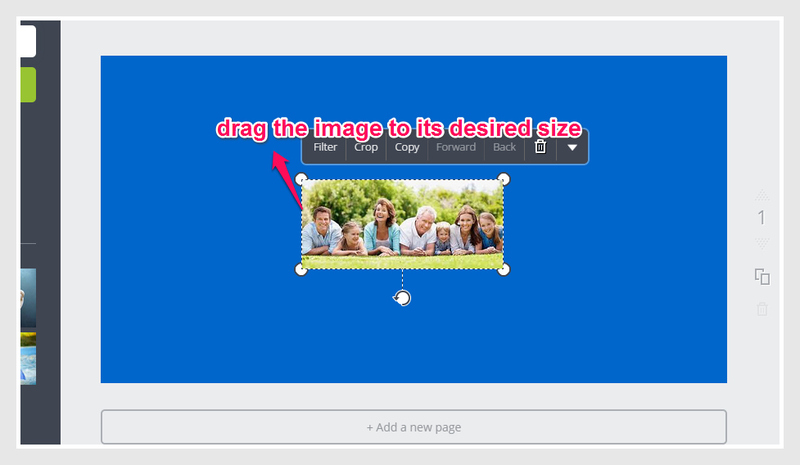 Drag the arrow on the side to adjust the image to its desired size. 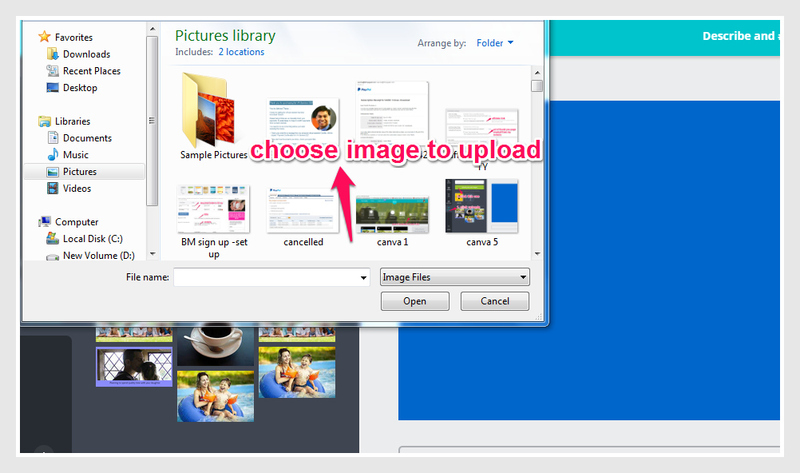 Next is to put text which is the PROMISE, under your image. Click “Text” to place the promise. Type the promise under your image. 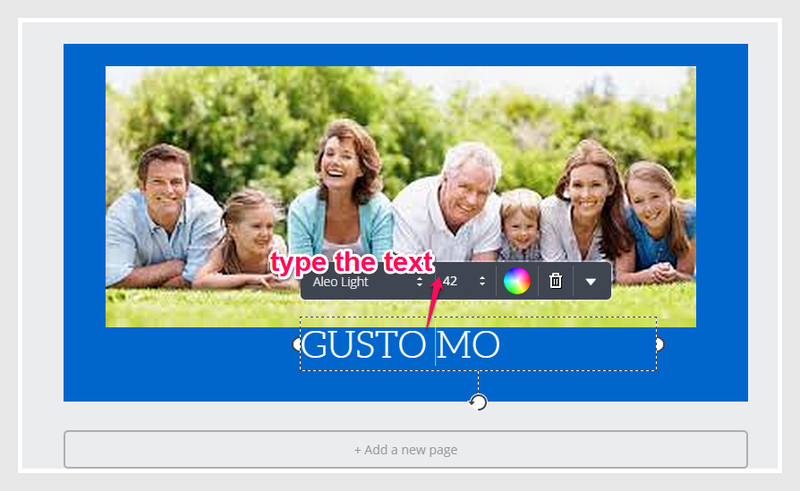 Adjust the text and make it center. 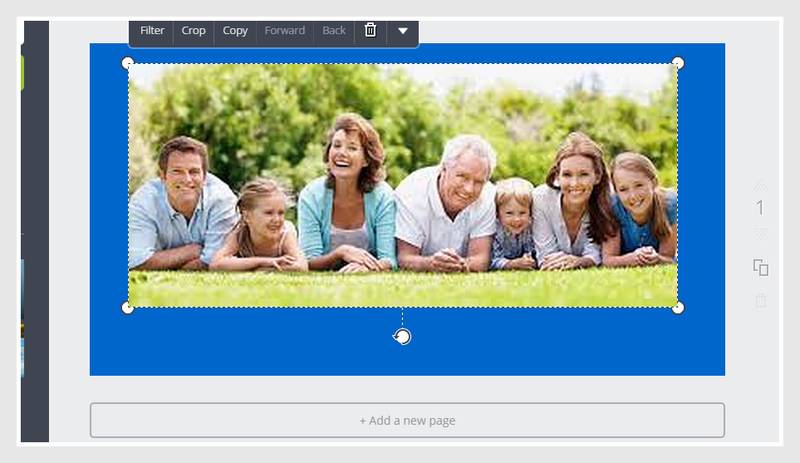 Here is the output for Facebook post. After creating the poster, we are now ready to save it. 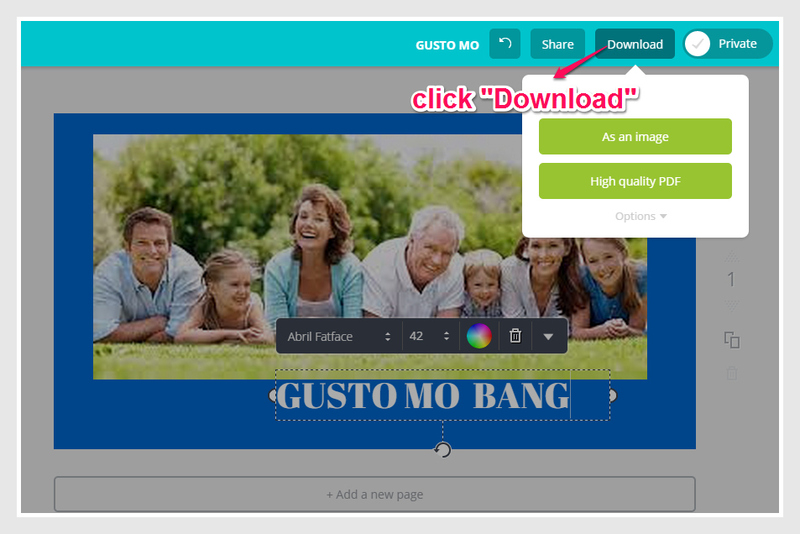 Click “Download” to save it in the computer. There we have the poster save for Facebook Ads! 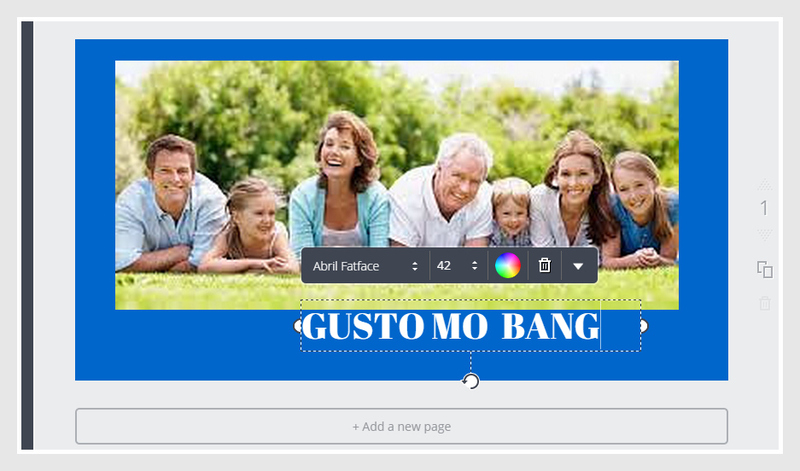 Yes, another way to create poster using canva! Great job!